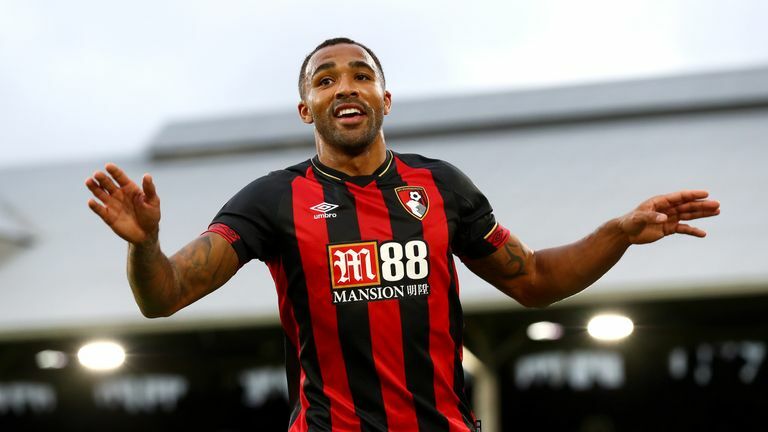 Callum Wilson has received his first England call-up and joins Wayne Rooney in a 28-man squad for upcoming matches against the United States and Croatia - live on Sky Sports. The 26-year-old Bournemouth striker is included after seven Premier League goals this season, while Rooney will earn his 120th cap in a special one-off appearance for England against the US, following his retirement from international football. Arsenal forward Danny Welbeck is likely to be unavailable after suffering what looked like a serious ankle injury in Thursday's Europa League 0-0 draw against Sporting Lisbon. Everton centre-back Michael Keane is recalled to the squad for the first time in a year, with Harry Maguire missing out due to a knee injury. Maguire's Leicester team-mate James Maddison is also absent after injuring his knee, while midfielders Dele Alli and Jesse Lingard return after missing the last round of internationals. Mason Mount, on loan at Derby from Chelsea, drops out of the squad. Borussia Dortmund winger Jadon Sancho, 18, retains his place. Uncapped trio - Brighton centre-back Lewis Dunk, Fulham goalkeeper Marcus Bettinelli and Southampton keeper Alex McCarthy - have been called-up again. "He's a threat in terms of running in behind defences," Southgate said of Wilson. "He's obviously been involved in scoring or producing assists in a high number of goals this season so it's a good opportunity for us to have a look at him in training and to see how he fits in to what we do and for him to get a feeling of working with the senior team." Wilson had two ACL injuries in the space of 16 months, one in each knee, and Southgate paid tribute to the striker's come back. "Part of being a footballer is showing the resilience that would be commonplace among the squad, coming back form setbacks whether that's through rejection or injury," said Southgate. "He's had that but he's got back to a realty good level. He's earned the right for a call up." England play the US on November 15 before hosting Croatia in the Nations League the following Sunday, with both games live on Sky Sports.